Where’d the Parche’s stripes go? Where’d the Parche’s awards go? The USS Parche isn’t going dark again — not for long, anyway. 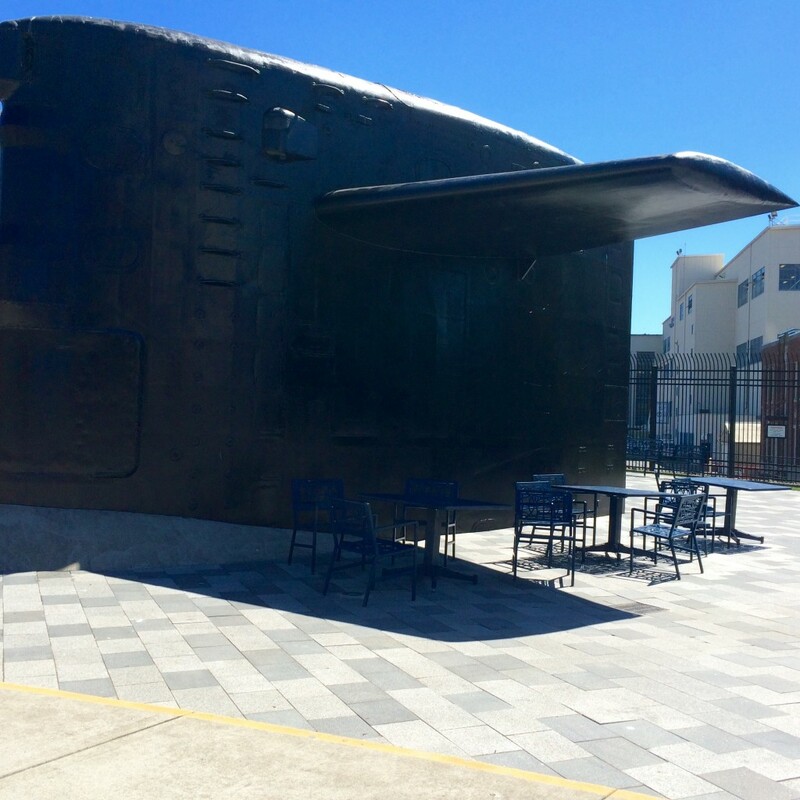 The sail of the most decorated vessel in U.S. Navy history, which sits in front of Puget Sound Navy Museum, lost its stripes recently. All of its awards were stripped off during its annual painting last week, by volunteers from Submarine Development Squadron 5. That’s the outfit for fast attack submarines Seawolf, Connecticut and Jimmy Carter. The colorful citations represent nine Presidential Unit Citations, 10 Navy Unit Commendations, 13 Navy Expeditionary Medals and 15 Battle Efficiency Awards. “The vinyl wasn’t in the greatest shape, so they were actually removed and we’re going to reapply them,” said Danelle Feddes, deputy director and senior curator at the museum. The shipyard’s sign shop is doing that work. The sail is owned by the city, but the museum helps to maintain it. Parche moved to Naval Submarine Base Bangor in 1994 and operated its final years out of Hood Canal. A decommissioning ceremony was held Oct. 19, 2004, at the shipyard, not far from where the sail now rests. Most of the sub’s missions were secret and remain classified. This guest post was written by Ed Friedrich. Ed was my guest star on this exciting video seen below.